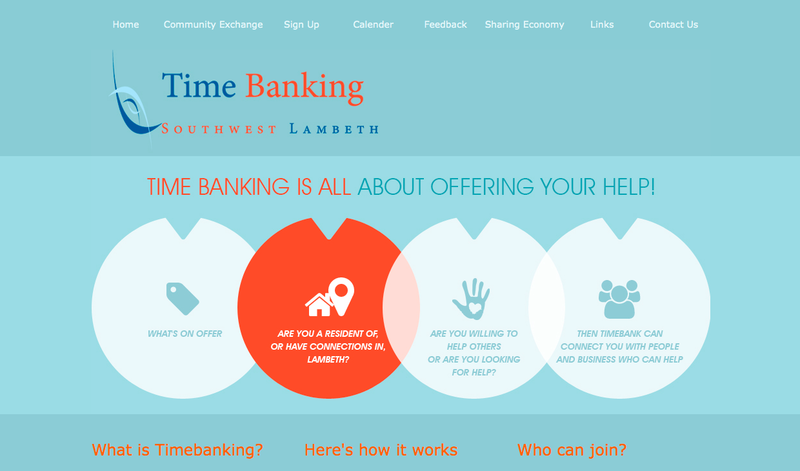 Our first Website of the Week for 2014 goes to South West Lambeth Timebank. It's got lots of great features that make it highly functional as well as individual and unique to the client's industry. It makes use of many interesting factors from various scrollers with moving effects to outsourced widgets and visuals. Speaking of the client's industry, it is as unique and interesting as the website itself. South West Lambeth Timebank is a virtual bank used to organise people and organisations through skill and resource exchange. Timebank allows its clients to connect with individuals from their community, and receive practical help and support from them in exchange for the same. For example, a website designer could make some updates to a hairdresser's website in exchange for a haircut. As communication and awareness are key, they required a website that could speak out and organise clients whilst announcing this new concept to the community. I will speak about each noteworthy feature on the website in turn from page to page. On the Home page, the principle element is the creative slider. They do not use photographic images but recognisable symbols on a characteristic shape that creates a colour bleed motion. This interactively directs the eye to each directed question in turn. This is a great way for South West Lambeth Timebank to figuratively speak directly to their clients in an active manner and it also has a very professional looking finish. On the Community Exchange page, the site also makes use of a non-flash scroller which will be editable and similarly makes use of movement to peak the website visitor's interest. South West Lambeth Timebank rely on their pool of contacts to make the concept of their business a success. To help create an effortless system of information gathering, an easy to complete, yet extensive form was needed. Located on the Sign Up page of the site, this custom form contains all field types from drop down menus, multiple choices and tick boxes to create a perfect overview of a client or potential client from the very start of the categorising process. Finally, on the Calender and Sharing Economy Page, you will notice two perfectly convenient, embeddable articles. The Google Calender widget and Youtube video respectively. The great thing about embeddable elements is that they are completely free. There are so many out there available for anyone with their own website to use by simply generating a code to 'embed.' Just have a look at all the other widgets available on the web to see if one might help benefit your website in some way.